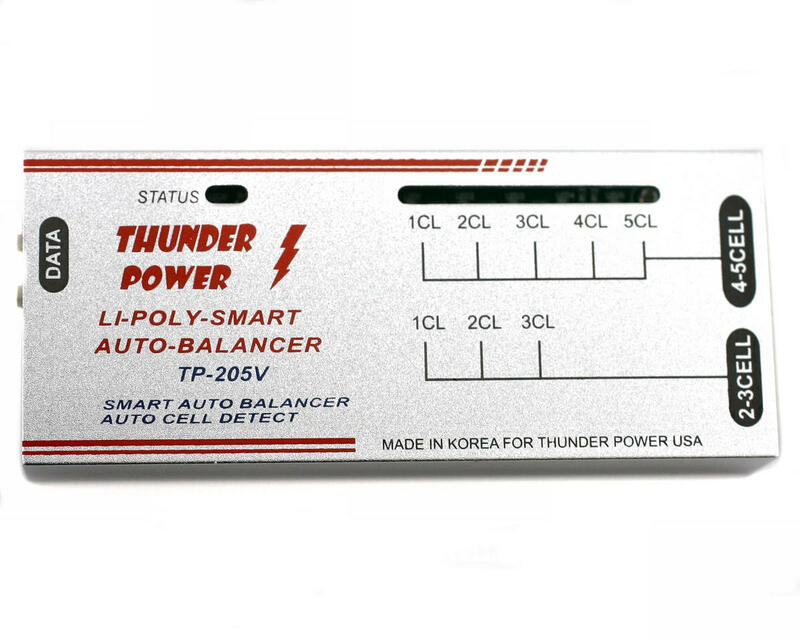 For 2- to 5-cell Li-Po packs, Thunder Power’s new Smart Balancer can’t be beaten. It automatically detects the number of cells, and automatically balances packs with or without charging them. Monitor balance status using the easy-to-read LED indicator, which also warns you (along with an audible beep) if your cell is overcharging. 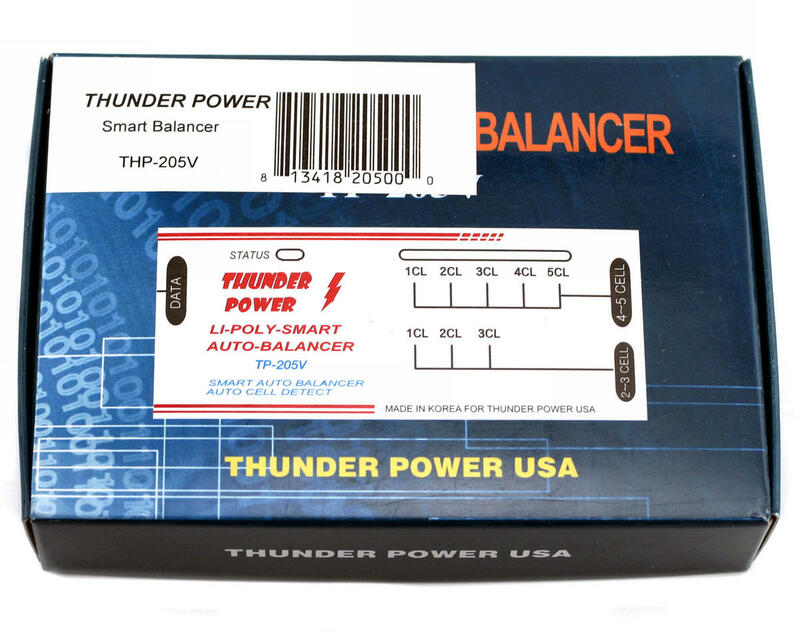 The Smart Balancer also features advanced software and a data port that lets you interface with future Thunder Power chargers. CAUTON:Only ONE connector may be used at a time while balancing! Never attempt to plug two packs in at the same time or to connect a pack with more than one balance connector into both connectors simultaneously as this will cause damage to the balancer. Also do NOT use the Align 6S balance adatper with this balancer, as it will destroy the balancer!